This is a slightly scaled down screenshot of a 16x16 Sudoku. The application has marked a '3' in the second square that was placed against rules, because that square (and also the column) already contained a '3'. 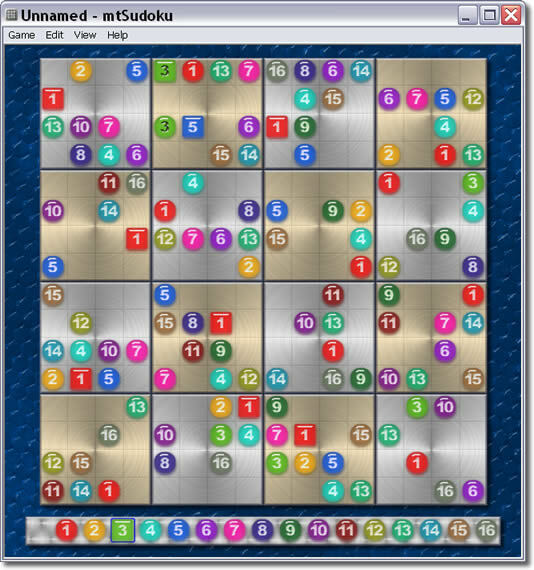 The board graphic was downloaded from the MaaTec Sudoku Boards page. To reduce the download size, it is not contained in the main setup file.